Estimated number of website visitors per month when hosting resources are used optimally. 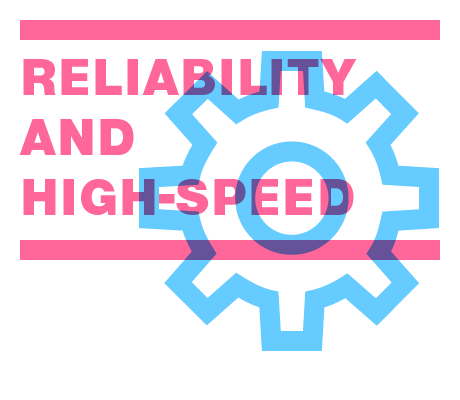 SuperCache can speed up your website up to 100x! SuperCache is a web server caching mechanism, which is able to cache static and dynamic content of your website. Once a given page is cached, it will load much faster for all future website visitors! - Promo price applicable for the first year. - Promotion is valid for new services orders. - The promotion is valid for ordering new services for a period of 12 months. You get MySQL and different PHP versions which guarantees your websites correct work. You also get easy to use cPanel for websites and mailboxes management. You can easily create and manage mailboxes and еmail accounts without restriction in their count (for example office@mysupersite.com, admin@mysupersite.com, yourname@mysupersite.com, etc.). For every email there is SPAM protection activated. Intelligent SPAM protection has machine learning system which betters SPAM protection a lot. Thanks to ALL SSD technology, which is implemented to our servers, client websites load up to 10 times faster compared to websites located on ordinary HDD disks. Disk space and number of files, directories and email messages which you can use for each hosting plan. Estimated number of website visits per month when hosting account resources are used optimally. Bandwidth provided from/to the website. Size of Memory (RAM) which is used for your website needs. You will be able to upload or create a website or mailboxes through cPanel just within few minutes after your order activation. Your account data is protected and could be restored from a backup anytime if necessary. For different plans we generate a minimum of one, three or five Backup copies per week. Backup Manager by SuperHosting enables you to generate, download or recover content from previously generated backups only per one click. This is a plugin specially developed by us which you could find in cPanel. Our specialists will manually restore your website in details, until it works correctly. Install WordPress, Joomla!, Drupal and over 350 other applications with only few clicks using Softaculous! Softaculous, a library app, located in your account's cPanel! Check the option for plan upgrade in cPanel. MySQL, MariaDB and PostgreSQL are database management systems (DBMS). That parameter indicates the allowed number of databases for a hosting account. PHP is a popular programming language for building dynamic and interactive websites. By supporting different PHP versions we provide necessary version for correct work of PHP based systems as WordPress, Joomla!, Drupal, etc. Python is a popular programming language for building interactive projects. By supporting different Python versions we provide necessary version for correct work of Python based frameworks as Django. Check the option for plan upgrade in your customer profile. Perl and C++ are among the most common programing languages for building static and dynamic websites and CGI scripts. The add-on domains enable you to host multiple websites on a single hosting account. All websites share the parameters (disk space, bandwidth, CPU time, etc.) of the hosting account. You could locate one website in your hosting account for plan SuperStart. Look at our offers for upgrade to a higher plan in your client profile. A subdomain is a part of the domain that is located in front of the main domain and is separated by means of a period ('.') Example: Domain - superhosting.bg, subdomain - blog.superhosting.bg. Parked domain is a term which means redirecting several domain names to a single website. Represents the number of users having FTP access to the hosting account (are enabled to transfer files between a PC and the hosting account through FTP client such as FileZila). SSH (Secure shell) is a protocol used to administer and perform commands on a remote server. SSH provides a high level of security for communication. In order to establish a connection through SSH, a console is used — an SSH Client. Your account can be transferred to a static (dedicated) IP address upon request. SSL certificates increase users trust by providing them with encrypted (https://) connection when entering confidential information. You could convince in our services quality and if it doesn't answer your expectations we will give your money back. Take advantage of additional discounts, extras and giveaways, if you select a period longer than a month for your hosting plan (depends on the hosting plan and period selected). Website registration in the 30 most popular Bulgarian and international search engines and directories. Provide secure encrypted connection between web browser and web server for your website. Rapid SSL is basic Domain validation type of SSL certificate. It is quick to issue and easy to install.Certificate provides an encrypted connection between the server (website) and the customer's browser. This way it gains user's trust as it provides the necessary level of security when they have to enter confidential information. You can access your email at any time by using software installed on your computer (email client) or via Internet through Webmail. Webmail is available in three different versions: Horde, RoundCube, and SquirrelMail. You can enable the SpamAssassin filter per mailbox, and configure it to filter mail according to your criteria. You can send and receive email from mobile devices, such as iPhone, iPad, Android phones and tablets, Windows Phone, and more. Configure quick and easy your mailbox to auto-respond to each email when you are away. More information about setting up an Email Autoresponder. cPanel allows you to configure your email to filter incoming messages according to criteria you have set up. Using cPanel you can configure additional email addresses for forwarding if, for example, you would like to receive a copy of your emails in a different mailbox. IMAP (Internet Message Access Protocol) is used for email check from mail client, as received messages are not downloaded to the device from where the email is checked, but are stored on a mail server. POP3 (Post Office Protocol 3) is used to receive emails, as messages are downloaded from a mail server and stored on the device from where the email is checked. As an option, it's also possible to leave mail on the server after download. SMTP (Simple Mail Transfer Protocol) is used for sending emails. 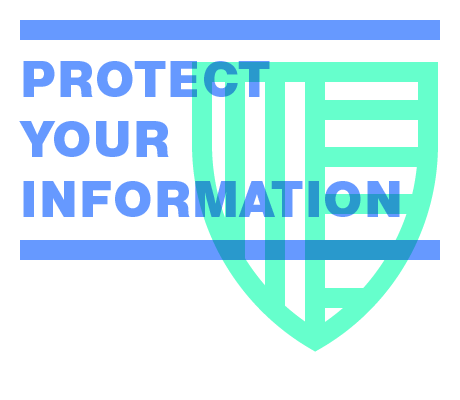 Your correspondence will be as secure as possible when checking your email through an encrypted (SSL) connection. You can easily create a list of email addresses, for example team@mysupersite.com. Each message sent to the address team@mysupersite.com, will be forwarded to all email addresses included in this list. Softaculous, a library app, is located in your hosting account's control panel (cPanel). Softaculous lets you install with just a few clicks more than 350 different web applications, including CMS (Joomla, Drupal, WordPress, and others), e-stores (PrestaShop, Magento, OpenCart, and others), forums, galleries, ERP systems, and more. WordPress is the most popular free CMS for websites and blogs. Building and maintaining a website with WordPress is easy even for non-tech-savvy people. Building up a website with Joomla! is fast and easy. Using this platform requires basic knowledge in its administrative terms and structure. Magento is an eCommerce software and platform designed for online stores. You will need more detailed technical background for building a Magento online store. The system is used for large online stores with multiple items. OpenCart is an open source platform offering great e-commerce solutions. You can easily build up a multi-item online store. Drupal is a "developer-friendly" platform for building websites that has been created to facilitate developers' work. It requires basic knowledge in PHP and HTML. This is a free online gallery that helps you create and manage online photo albums of your own. OpenX is a free online advertising management system which is installed on ready websites. phpBB is the most popular and widely used open-source forum platform. A CMS for building e-commerce websites. phpMyAdmin is a cPanel application allowing you to manage the MySQL databases on your hosting account. The DDoS defense system protects our hosting services on a network level. It provides websites normal work by neutralizing DDoS attacks targetеd towards our equipment. The system detects 95% of the known types of DDoS attacks. Monitoring system developed to 24/7 monitor and intercept unauthorized third party access attempts to mailboxes, managed by the hosting account. If a malicious person or bot tries to guess a password and get access to someone's email, there is big possibility that he will fail. The system we developed defends mailboxes from unauthorized access attempts, reducing data misuse, and filtering out SPAM messages. Our system prevents attempts to post unauthorized content to websites (SPAM) in the form of blog or forum opinions and comments, while allowing authorized content publishing. Protection for WordPress, Joomla, etc. Our security system includes protection against unauthorized access attempts to the administration panel of the most popular CMS platforms like WordPress, Joomla!, OpenCart, Drupal, etc. With us your website is protected from malicious actions which take advantage of common security flaws and vulnerabilities to access your website. If client website is hacked, we will detect and remove the malicious script. Then we will improve our security system so this website and other clients websites couldn't be affected in the same way. It is easy to create website or email with cPanel. Even users with no technical knowledge can manage their web projects with ease, using cPanel. Cron Jobs is an automated process to execute tasks at specific dates and times. Processes that need to be executed repeatedly can be configured to run on a timeframe (e.g. hourly, daily or weekly). With File Manager you could upload, download, delete, edit file permissions, etc. directly on the server through the cPanel. Increase efficiency and speed up website performance with FastCGI protocol for different programming languages script processing. APC, eAccelerator, Opcache are caching modules, helping to enhance PHP script performance. Redundant PHP script execution at every request is eliminated by caching. Modules are executed once and the result is saved, usually to shared memory or disk, or both. Upon subsequent access to a cached script, the result can be re-used for further execution requests. Our servers support various PHP modules that can be quickly activated from the cPanel -> "PHP Manager by SuperHosting". See a list of supported PHP modulesOur servers support various PHP modules that can be quickly activated from the cPanel -> "PHP Manager by SuperHosting". See a list of supported PHP modules. You can track site visitors, generated traffic, search engine site indexing and much more in the cPanel. MIME types provide browsers with information how to interpret and display files with certain extensions, to load a website correctly. For example, text/html mime type corresponds to .htm, .html, and .shtml extensions. You could track and control active server processes via the hosting account's user interface. Very useful for website diagnostics and development. You could track server resource usage stats per account via the user interface, including CPU load, memory usage and a number of processes. Very useful option when evaluating website performance. Monitoring and support of the Inodes system parameter enables seamless generation of backups and provides for file system efficiency, and results in the improvement of website performance and speed. For database administration trouble-free access to your hosting account is available via a secure remote VPN connection. The table allows you to monitor the server resources your account applications use, per hosting plan. Allowed CPU time applications in an account may consume (1 min. = One individual CPU core, loaded at 100% utilization rate for one-minute duration). Count of allowed simultaneous web server connections. Allowed number of simultaneously running PHP processes from all web applications in a hosting account which uses FastCGI protocol. Each FastCGI process can work on multiple requests. Count of directories, files and symlinks that a single hosting account supports. Full allowed size of all databases located in a hosting account. 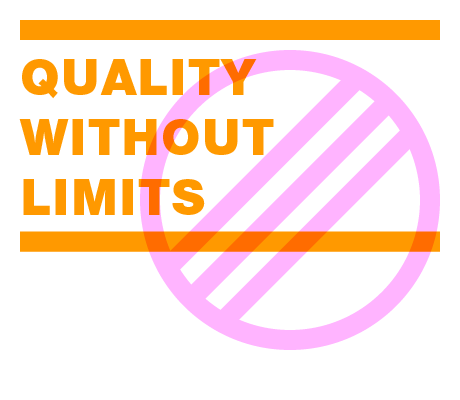 Allowed number of tables in a single SQL database. Allowed number of SQL server queries allowed, for one hour. Number of SQL server simultaneous queries allowed per SQL user. Number of email messages allowed to be sent within one hour. Due to security measures every hosting account is activated with a setting to send up to 350 emails per hour. An option for increase is available in your client profile. Allowed number of simultaneously running processes in one hosting account. Execution speed of Input/Output processes or requests to the server and their answers. We are proud to provide our customers with unparalleled care and with the appropriate solutions the first time they may encounter challenges with their web projects. 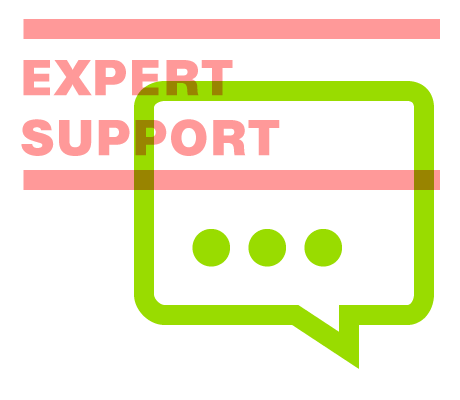 We believe that SuperHosting.bg technical support is a synonym of solution and we make no customer service compromises. Preventing malicious DoS and DDoS attacks that may interrupt your website operation. Security system SH Protect — protects your websites and mailboxes from hacker attacks and stops security breaches on all levels. Scanning and removal of an existing hacker code within the first 24 hours – we will stop any attack before you even realize that it has occurred. We provide the necessary environment for your website's performance boost and continuous operation. Fast ALL SSDs give your website the right performance speed. Special tools — optimize your website loading time. 99.9% server uptime — ensures that your website is always available. Backup — keeps data safe and enables recovery whenever needed. We foresee what your website's development will need not only now, but also in the future and manage to deliver it. Unlimited bandwidth for your web projects with all hosting plans — so that you can work with no restrictions. Free SSL — for your customers to feel safe enough. We will respond immediately whatever problem you might have. 24/7 premium support by email or telephone — we are always there for you to help. User-friendly cPanel — so that you can quickly manage anything on your own. Over 350 applications installed only per one click and custom plugins to easily and quickly manage your hosting accounts..
Moving websites from other hosting providers to us at no extra cost. Тake the most from your hosting account! Install the most popular web content management systems - quick and easy! A blog or CRM with just a click!